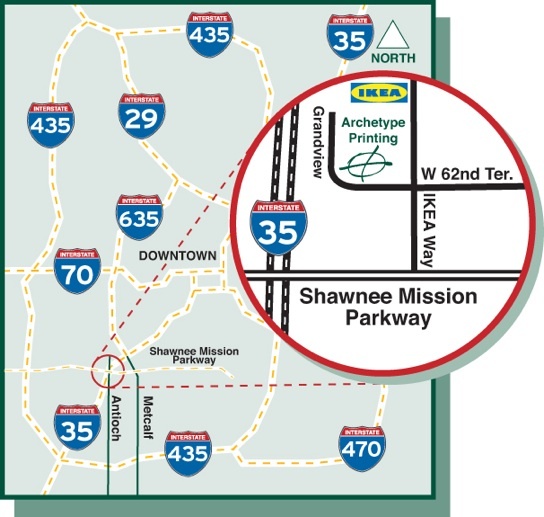 From Shawnee Mission Parkway, drive north on IKEA Way to West 62nd Terr. 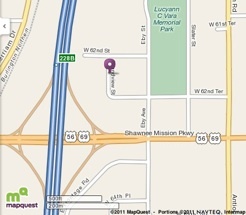 Turn left on West 62nd Terr., the road will curve to the right and become Grandview. Turn right at the first entrance.